A new pattern from tangler Cyndee Pelley! Enjoy this repost frm her blog! Thank you for sharing, Cyndee! Did I mention that I got a job? It’s half-time, on contract, and tons of fun! I get to work with students, teaching them better ways to study, or tweaking their current study skills. A few weeks ago, I even gave a Zentangle workshop for students at the American medical school here (my employer) and a few were young people I helped (hopefully) and encouraged to attend. The purpose of the workshop was to provide students with one more way to relieve stress and general anxiety. Some students were so tense that 4 Microns had to be replaced. Medical students are probably the most tense group of students under the sun. As I ran the workshop, I tangled along with them, using a really fancy overhead projector that broadcast to several monitors. Here are my versions. We had started a third tile, but ran out of time. We ran short of time because, close to the time of the workshop, the sponsoring department decided to push through a protocol that made the workshop part of a research project. A “before” survey, which was supposed to take two minutes, took up a quarter of an hour. Then time needed to be left at the end for the “after” survey, cutting ten minutes off the end. Still, the students left with supplies and enough information to do some tangling on their own in a very Zen-oriented way. I really wish there had been time for a photo of the participants’ work. I saw a few tiles that were outstanding. But we go with the flow and do what we can. More workshops are going to be scheduled for the next semester that starts next month with over 200 new students. 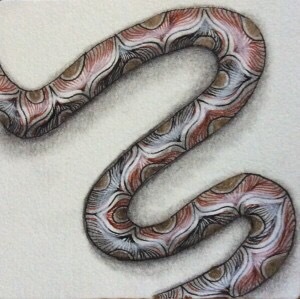 Next post, I will share some experimenting I’ve been doing with different pens and colored pencils. You will be left with little doubt that spending just a bit more for better tools can increase your enjoyment and the satisfaction with results many times over. 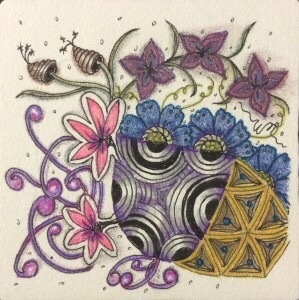 To my followers: Check out these beautiful tanglesb from Bhagyashri’s Creative World on WordPress! 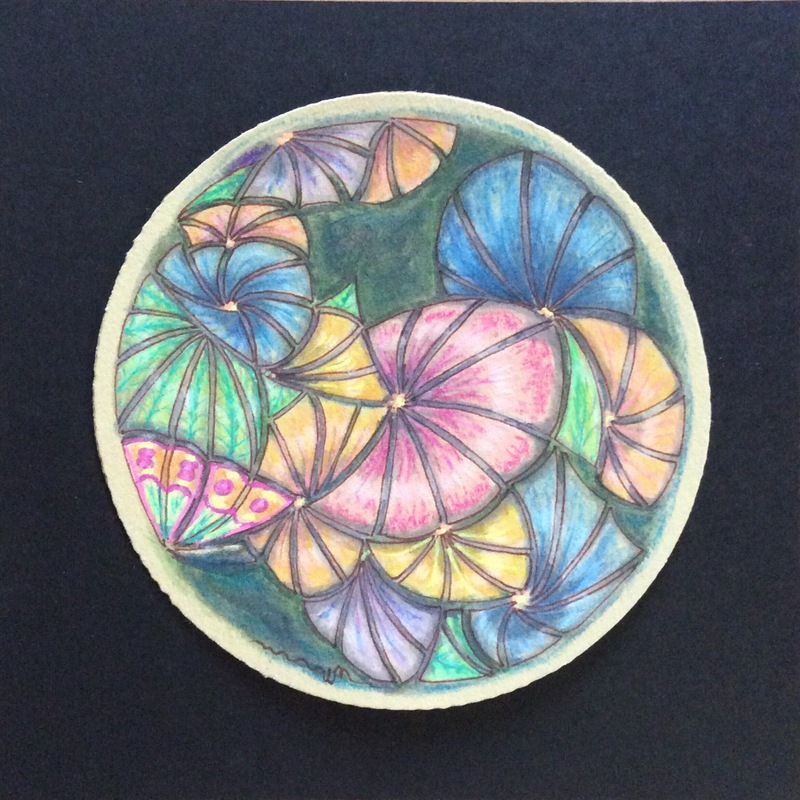 Thank you so much, Bhagyashri, for sharing your lovely work! It’s been a long time I shared Doodle. Now sharing what I did a few weeks back. Unfortunately I forgot from whom I learned this. I tried to search over WordPress, but I failed. If someone have already new this design, do help me with the original link. It would be helpful for me to thank that guider. It was awesome trying new things. It was cool to go on drawing over the page.. 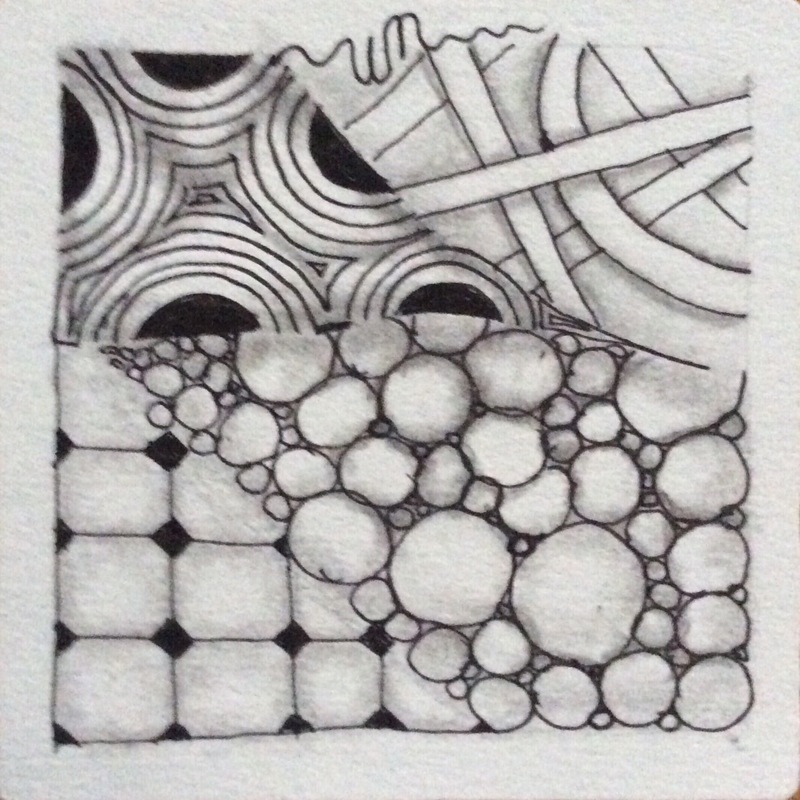 This may not be Zentangle, but it is darned close. Thank you, Bhagyashiri, for sharing your marvelous work! Thank you so much Swarna, for the wonderful opportunity! Thanks for baring with me for this full hand henna design. Sharing full hand mehedni design applied for beautiful girl, who calls ne “Akka” all the time and I say, “Oh Noooo…!”, knowing she will not stop! By the way, that’s even wonderful feeling. I hope to try new designs and I am very much happy to grab my PG mates time for my selfish hunger! Unfortunately they will always be happy..
Hope everybody like this Colorful Mehedni Design! 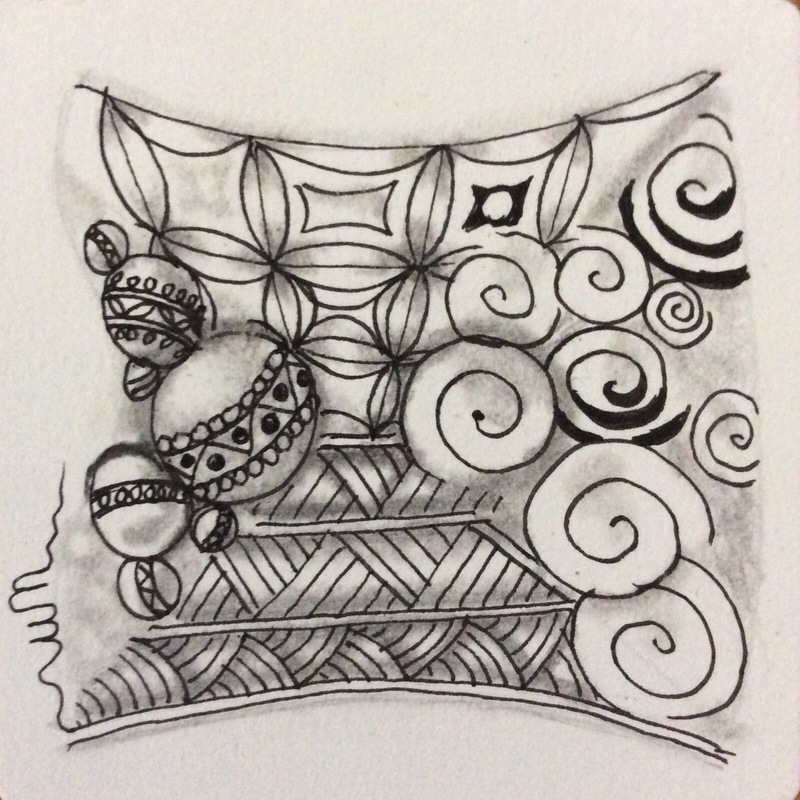 Tripoli may be a place and a fantastic vacation destination, but tripoli is also a Zentangle pattern. 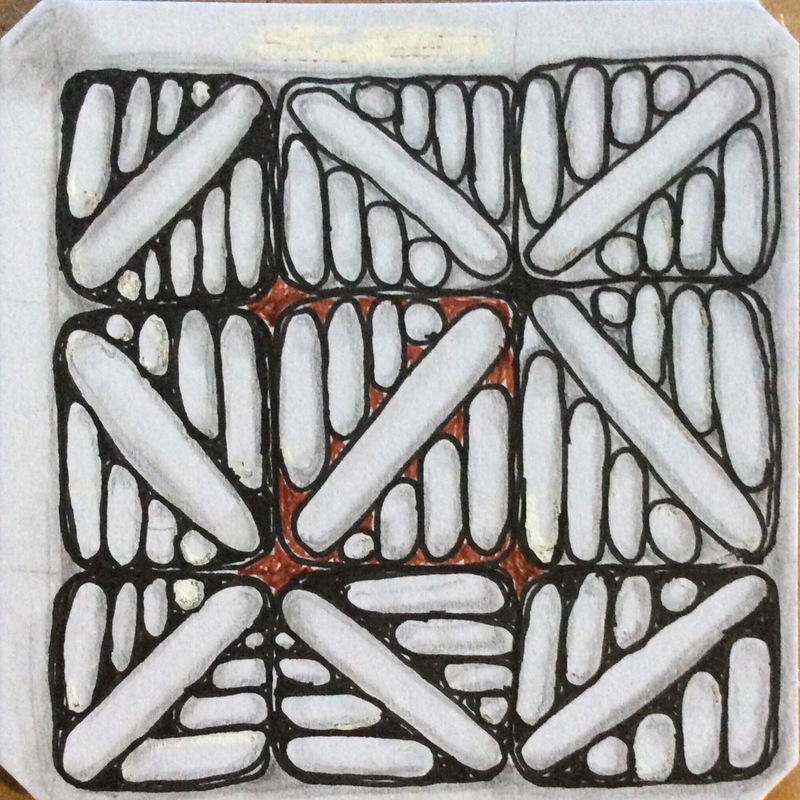 If you have the Zentangle® Mosaic app, you probably saw this week’s Kitchen Tabe Tangling (KTT) video on how to draw tripoli and embellish the elements. Although i have been tangling with tripoli for quite a while, the video added some new information about tripoli that I didn’t think about before. 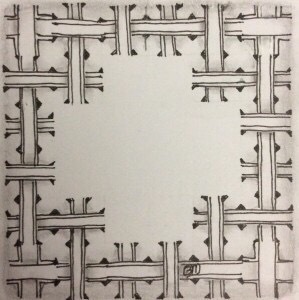 The KTT inspired me to both blog about this versatile pattern as well as to try my hand at something more creative than the mundane way in which I’ve been drawing it. Tripoli is not a single triangle element, but a bunch of elements connecting to form free-flowing paths and groupings of triangular shapes. Typically, the triangles are filled with “fragments,” which are patterns used in part to fill elements of a grid pattern. Below are a few example of simple grid patterns. Fragments can be used all sorts of ways, including to fill a shape or to embellish a string. Usually, when tripoli is tangled, each triangle is filled with a fragment. In the examples shown below, you can see how the tripoli elements build from each other. The next triangle builds from a line that auras one side of the previous triangle. In these tangles, grouped triangles are about the same size and contain the same fragment pattern. However, there is no hard and fast rule; consecutive triangles can grow or shrink, and fragments can change from one element to the next. The wonderful thing about tripoli is that the elements don’t need to be filled at all. 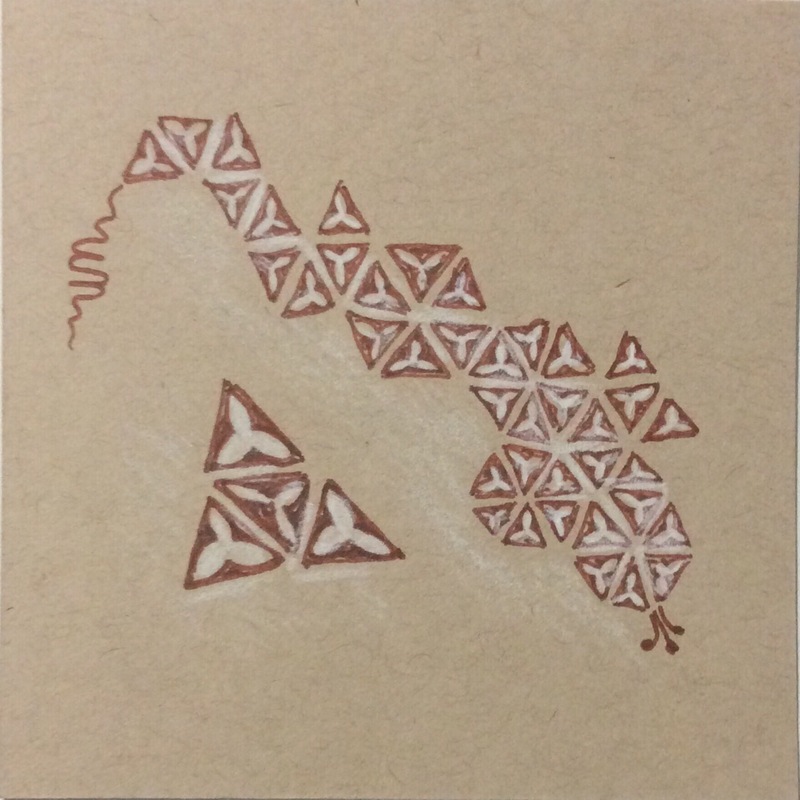 The individual triangles can be filled with anything that seems to fit the path or grouping as well. In the example below, the paths and groupings reminded me of a bunch of flowers in a garden. So I filled the triangle elements to reflect that. Shading and color smoothed the edges and points to look more like something Nature would do. Each “petal” and “leaf” is a pointed triangle, and most of the sides of the triangles are slightly curved–mostly because I prefer a bit of curve over straight lines. Each triangle began with an aura of one side of the previous triangle. The aura became the first side of the next triangle. It is even OK to slightly “hook” the aura if you are going for a rounded grouping–or just because. In this example, although some triangles were later filled with a pattern that resembles the veins found on a leaf, the rest were simply filled with color and texture to resemble petals. Even the butterfly body started out as a triangle which was subsequently filled with color. 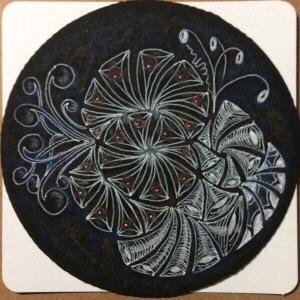 Tripoli is one of the most versatile Zentangle patterns. It can become a lizzard or a flower and many things in between. 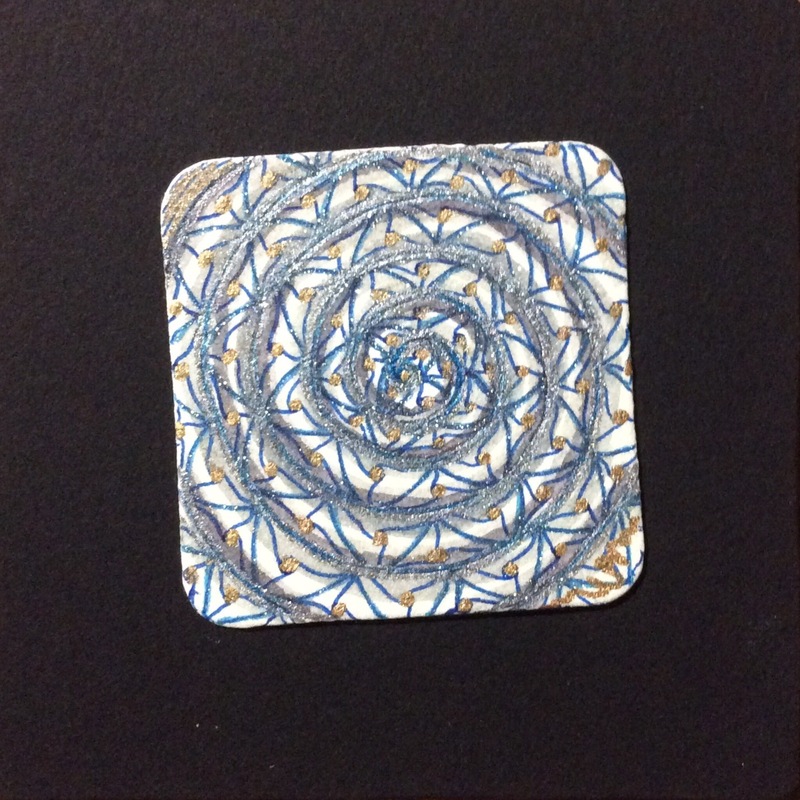 The flow of the path or the grouping your pen creates as you tangle suggests an object or design. 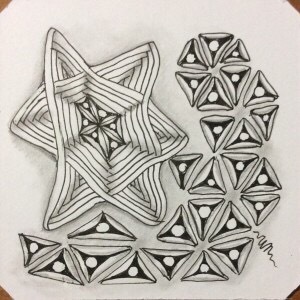 You fill the triangles with patterns or color or texture to produce beautiful effects.